Drawing on a previous ELEEP tour to Stuttgart and Paris (October 2012, see http://www.ecologic.eu/7462), a group of ELEEP Members traveled to the Pacific Northwest of the United States to find out how communities use planning, policies, investments, and other measures to establish low-carbon, sustainable transportation systems. This tour took a broad perspective, moving beyond a focus on transportation systems in isolation to consider the larger economic development, urban/rural, and social implications of transit and transportation planning. 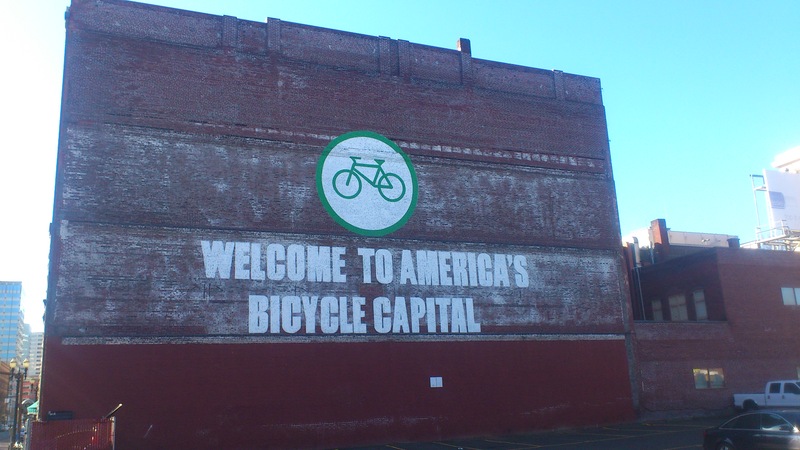 In Portland and Salem, Oregon and Seattle, Washington,the 10 members of the ELEEP Network learned about the initiatives already in place in those cities and those being implemented to expand transportation options. They met with and learned from the decision-makers and leaders involved in the on-the-ground realization of their plans. In addition to providing transportation choice and offering citizens travel options beyond the personal automobile, both public transportation and new, privately-offered mobility options (car-sharing, bike-sharing, Lift, etc.) are being harnessed by politicians, city planners, civic leaders, and businesses as engines of economic development. In both Portland and Seattle, the group visited and heard about the role transit and transportation investments played in spurring growing interest in living, working, relaxing, and investing in neighborhoods reinvigorated by these very transit alternatives. The group had the opportunity to learn from and interact with a number of high-level civic leaders from Portland and Seattle. The Portland portion of the trip began with a lunch roundtable discussion hosted by the Mayor of Portland, Charlie Hales, and City Commissioner, Steve Novick, who also heads the City’s Transportation Department. Three ELEEPers (Gerald Franz, Lena Bruce, and Georg Schmid) offered thoughts on building more sustainable transportation systems by presenting aspects of their current work on transportation policy to the Mayor, the Commissioner, and the others in attendance – including Jackie Dingfelder, who is the Mayor’s Senior Policy Adviser on transportation. Later in the trip, we had the opportunity to have in-depth, sit-down conversations with Sam Adams (Mayor of Portland 2008-2012) and Michael McGinn (Mayor of Seattle 2009-2013) about their experience in office and the ways they supported sustainable transportation and urban development. In Salem, Oregon, the group also had the opportunity to learn about transportation issues at the state-level by meeting with Karmen Fore, who serves of Governor Kitzhaber’s Transportation Policy Adviser, and Rep. Tobias Read, who serves in the Oregon House of Representatives, is the Majority Whip and also the Chair of the Transportation Committee. In Seattle, the group talked with the Seattle Department of Transportation about the role the South Lake Union Street Car played in creating an appealing business district where Amazon chose to establish its global headquarters. In Portland, staff from FirstStop Portland, which put together the Portland program, gave us a tour of several of the city’s quarters that have been revitalized through transportation investments, including: the Pearl District and the South Waterfront. In both cities, we spoke about the differences in cost and operations between fixed systems (light rail and street cars) and flexible systems (bus routes); while cities pay more for fixed systems, they signal to property owners and other business investors that the city is committed to an area for an extended period of time. Over the course of the week, ELEEP members had meetings with a variety of groups and experts including: on the history and politics of Oregon’s regional land use policies; building and operating transit systems in Seattle and Portland; balancing urban/rural development and historic preservation; encouraging employers to support non-automobile transit options; and bike sharing. The tour’s agenda is available for download below.